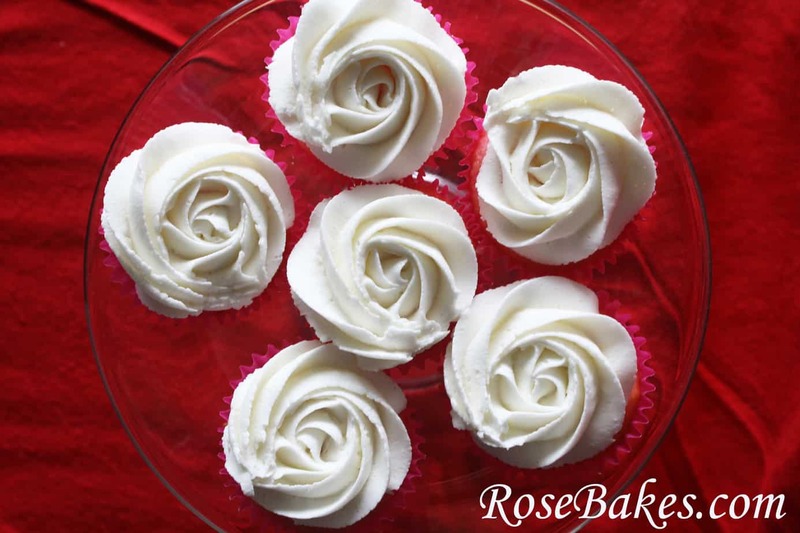 For the rose swirl you start in the centre of your cupcake. 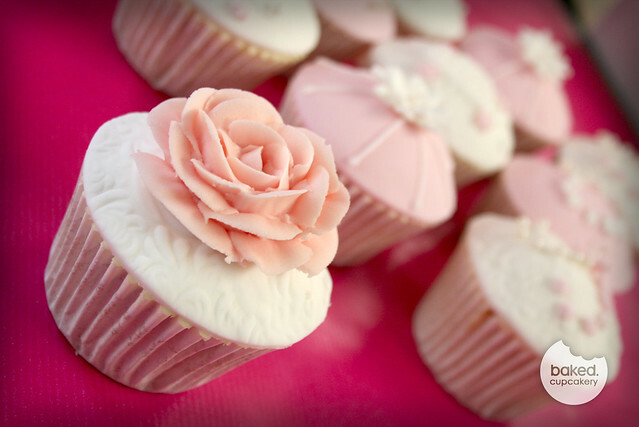 Gently squeeze out a little bit then slowly start to go round your cupcake, working your way out to the edge, slightly overlapping as you go. When you have no more cupcake to cover, stop squeezing and lift up. 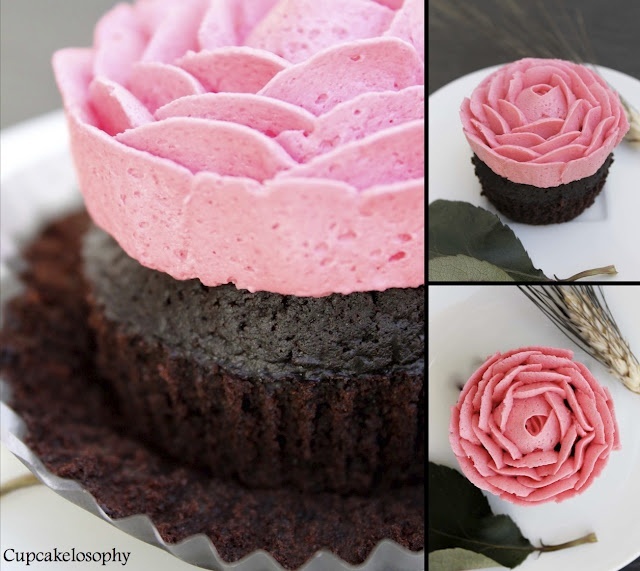 You can do the rose swirl in 2 toned buttercream to create a beautiful rose cupcake.